» Hysteria [6/9M] , 2days6hr, LFM for CE Raiding! 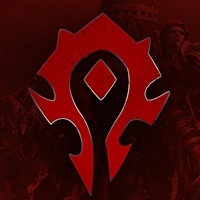 Hysteria is a long-standing guild from Thrall [H] that has existed on the server for close to 6 years raiding periodically during expansions. Our guild core consists of a mixture of raiders that have experienced top 200-10 progression, to raiders who are just starting their push for CE. We are looking for players who are good at what they do. We have a competitive skill-base of players, however, we leave the toxicity and other non-sense typically found in mythic guilds, at the door. We have a chilled out raid environment but still have high expectations of our raiders as everyone here has raided at the top end at some point. We will not babysit raiders. If you join, we expect you to perform without being watched all the time. Antorus: 6/11M as a One day 3 hr raid team before stopping raids for a few months prior to bfa - We would have been among the top 1 day guilds when we stopped. Raids always end promptly at 11pm unless we are mid pull. We will not extend and if, for some reason, we did, there is no pressure on raiders to stay. Once 11pm hits, raid is over. Tanks : Currently not actively looking but still willing to hear from interested applicants! We are always searching for competent raiders regardless of current needs. Please contact us if you believe yourself to be a great player. Be apart of the guild - We aren’t interested in players that log on only for raids. Some of the best times we’ve had as a guild were random saturday nights talking in discord. We want players that are here to stay. We do our best to make sure all our players feel included and valued in the group. We don’t stick to cliques or any of that nonsense. You come here and you are a valued part of the team.